Apple has revealed its Worldwide Developer Conference keynote presentation will kick off Sunday June 13. Find out what time the event will start and where you'll be able to stream WWDC 2016. 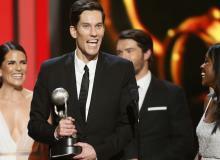 "How to Get Away with Murder" creator Peter Nowalk, talks the Season 3 plot, possible character romances and more. "Once Upon a Time" co-creators Adam Horowitz and Edward Kitsis reveal that there will be no more half-season storyline arcs starting in Season 6. Lindsey Shaw has been confirmed to return to "Pretty Little Liars" Season 7 as Emily's (Shay Mitchell) ex-girlfriend Paige. Tonight is an all-new episode of "Preacher" on AMC. Find out when and where to watch episode three "The Possibilities." 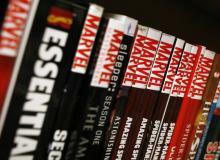 Marvel and Fox announce that the forthcoming X-Men series, "Legion," will broadcast in 125 different countries around the world. Actor Keith Stanfield ("Straight Outta Compton" and "Dope") has been added to the cast of the Netflix manga adaptation, "Death Note." 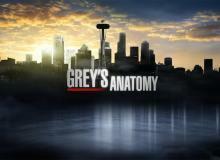 "Grey's Anatomy" Season 13 will see the conflict between Alex (Justin Chambers) and Jo (Camilla Luddington) grow, plus there may be a time jump in the coming season. 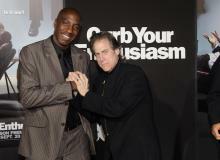 J.B. Smoove reveals Larry David is open to the possibility of returning for a Season 9 of "Curb Your Enthusiasm." "Gotham" will reportedly introduce Victoria "Vicki" Vale in the coming third season of the Fox series. 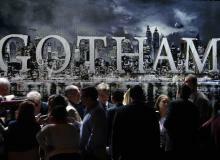 Plus "Gotham" executive producer John Stephens gives out a list of villains coming to Season 3. It has been revealed that Toby Jones will join the cast of "Sherlock's" fourth season as one of the great detectives finest villains. Netflix drops the first trailer for the coming supernatural thriller "Stranger Things" starring Winona Ryder. 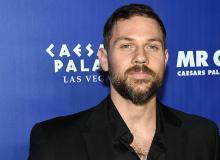 Gino Anthony Pesi has moved into a series regular role as Assistant District Attorney James Neva on NBC's coming "Shades of Blue" Season 2. 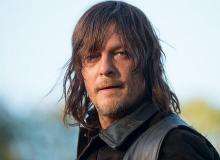 Norman Reedus talks the major cliffhanger on "The Walking Dead's" sixth season finale, assuring fans it is worth the wait. 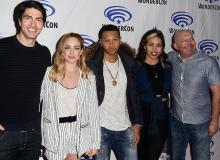 Aside from Superman, five new major casting roles have been revealed for the coming second season of "Supergirl" on The CW. "DC's Legends of Tomorrow" will introduce Vixen as a series regular in Season 2, but will cast a new actor for the role. 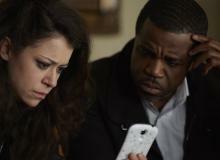 Tonight is an all-new episode of "Orphan Black" on BBC America. Find out when and where to watch episode nine, "The Mitigation of Competition." "Once Upon a Time" will return for an all-new sixth season this fall. Check out these 5 things you need to know about the coming season. "The Originals" executive producer Michael Narducci talks the coming fourth season and what viewers can look forward to. Chris Messina will return to "The Mindy Project" as Danny Castellano in Season 5, but will be downgraded from series regular.